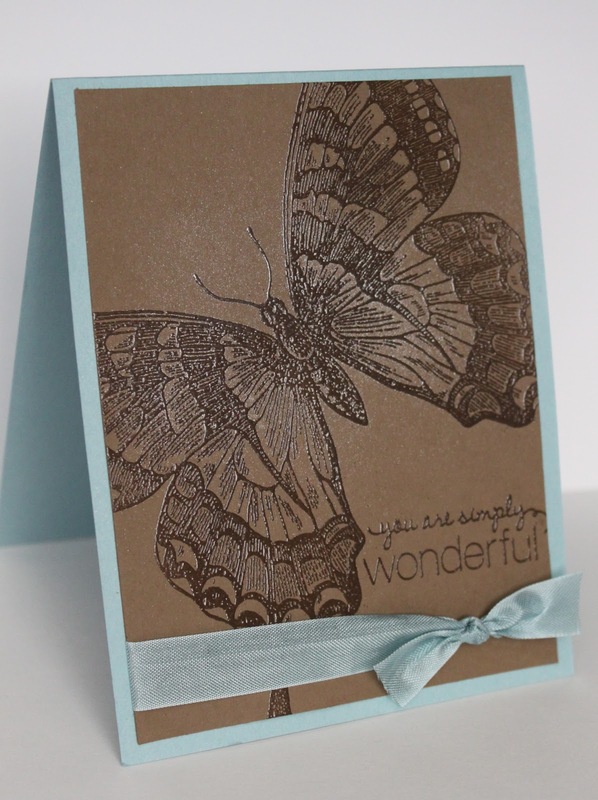 Here's a card we made at stamp class last week. I started out stamping it with a certain plan in mind, but then I took out the Heat Tool and embossed it! I hadn't done any heat embossing in a while, and Wow! I just fell in love with embossing again!! It's so awesome to emboss - and such pretty results! Since it didn't need any coloring, I decided to spritz a little extra shimmer with the Frost White Shimmer Paint/rubbing alcohol spray (gonna miss that Shimmer Paint!! ).